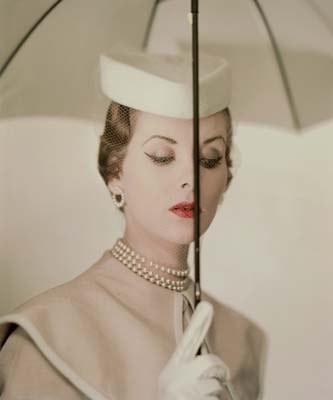 The photograph is part of the Estate of Erwin Blumenfeld and was the alternate of the Vogue U.S.A. cover, March 15th, 1950. It was used to promote an art preservation presentation by Axa Art at Art Basel 42, which takes place from June 15-19, 2011. I am attending the event this year and am excited to see what is in store. I find the 1950s era of fashion and design very inspiring.